(NaturalNews) Many people who are considering a vegetarian or vegan lifestyle are often concerned with making sure that they still fuel their body with the proper amounts of protein. Proteins, as most of us know, are the "building blocks" of life responsible for the proper function of organs, cells and tissues (1). The Centers for Disease Control and Prevention (CDC) says that adult women should obtain 46 grams of protein daily and that adult men should aim to have 56 grams daily (1). Experts say that plenty of healthy, meat-free and delicious protein options exist. It's also suggested that people consume plenty of nuts and seeds. 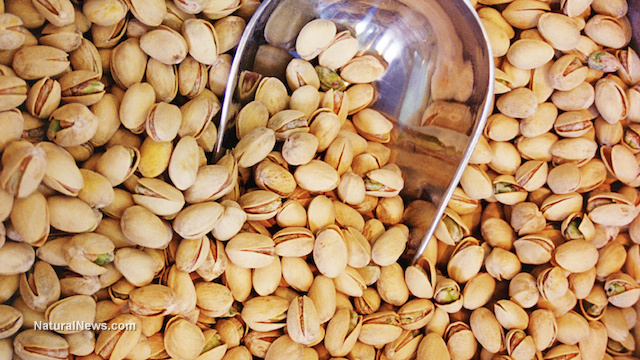 Specifically, walnuts, pistachios, almonds and pumpkin seeds have very good amounts of protein. Pistachios, which are also filled with healthy fats and beneficial amounts of B6 vitamins, have about 6 grams of protein in a 1-ounce serving (4). Foods such as dried apricots and sun-dried tomatoes are also good sources of protein. Vegetables also have decent amounts of proteins, so one doesn't have to hone in more so on beans and grains. One cup of cooked spinach has 5 grams of protein, and a cup of broccoli has 4 grams (5). Signs of protein deficiency may include fatigue, rash, change in hair texture or color, loss of muscle mass and diarrhea (6). Incorporating more protein-rich foods in the diet, like the ones outlined in this article, can help.